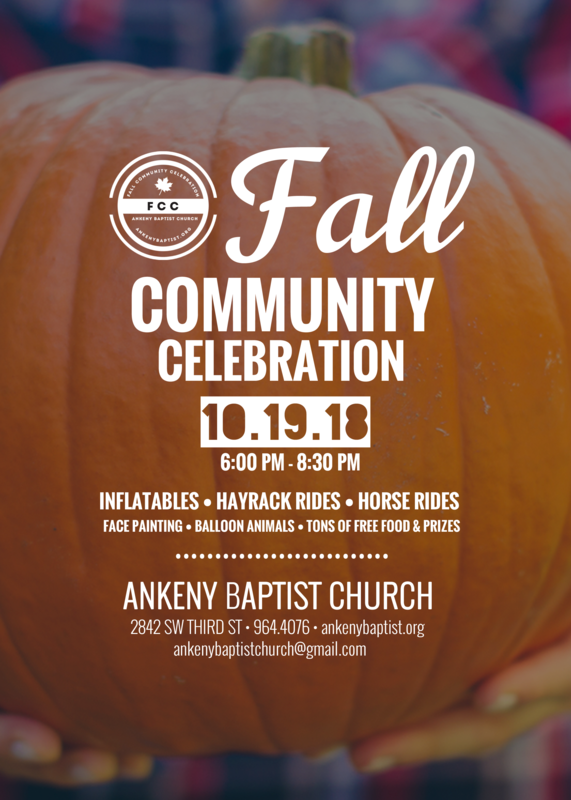 Our annual Fall Community Celebration is back again this October. Families of all ages are invited to an evening of inflatables, hayrack rides, s’mores, face painting, tons of free food, bubble soccer, horseback rides, games and prizes. We would love to have you as our guests! The evening is entirely free. Join us! Be sure to check the Fall Community Celebration Facebook event page.